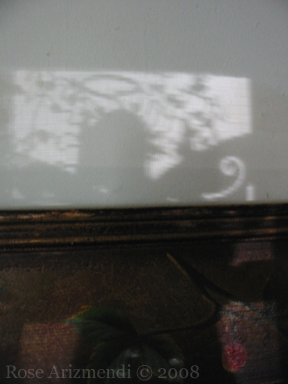 Yesterday afternoon my husband showed me this beautiful shadow on our living room wall… Wow! I grabbed my camera and took some photos. 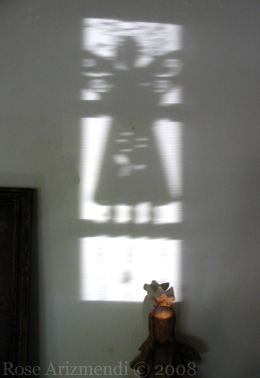 The shadow was cast by a metal angel sculpture hanging on our front door. 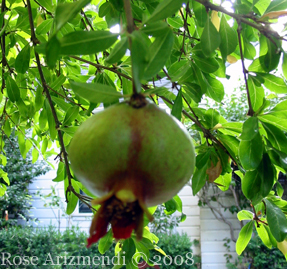 Later when I was watering the garden I noticed all the fruit on our pomegranate tree. It felt so peaceful to be standing beneath the canopy of this old tree as the sunlight played hide and seek among her leaves. I felt like a little girl who had somehow found a secret magical kingdom. I closed my eyes and the sound of the traffic dimmed as I inhaled the sweet fragrance of roses mixed with jasmine wafting by. 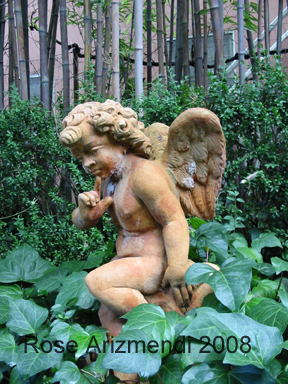 For that instant the outside world disappeared and my senses became more heightened and finely attuned to the sounds and smells of this small garden tucked away in the heart of a busy city. When I opened my eyes again I saw this small pomegranate. I took a photo of it to remind me of how truly wonderful and magical life is and how very special these moments are when we take the time to pay attention to the natural world around us. The sun was setting as I left the little girl beneath the pomegranate tree in the garden. 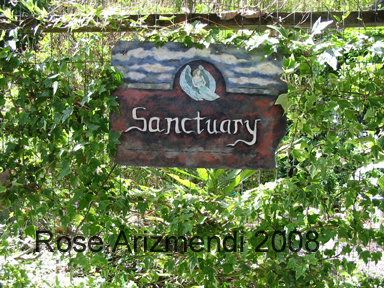 My much older self closed the garden gate and returned to the everyday business of life. 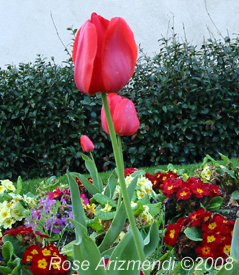 The Spring Equinox! A time when the light and dark are in perfect balance. As I look outside my window the sun is shining, the sycamore trees are beginning to leaf out, and this for me is the time of the year that always stirs up feelings of hope, expectation, joy, and wander lust. I ask myself what will I change, create, and give birth to during this season. I can foresee endless possibilities to explore, yet each one requires change and we know change can sometimes be difficult yet without change we become stagnant, resigned, and settled. So I choose to open myself to growth, new insights, new adventures, yet also let intuition and common sense guide me through these feelings of restlessness, excitement and laziness which we call Spring Fever. Today I decided to play around with some gesso, tissue and rice paper on watercolor paper. The first thing I did was crumble up some of the tissue and rice paper, then tore some of it into smaller pieces. After I selected the size of watercolor paper I wanted, I spooned some gesso out onto it, spreading it out with a spreader. It took only a few hours to dry this morning. 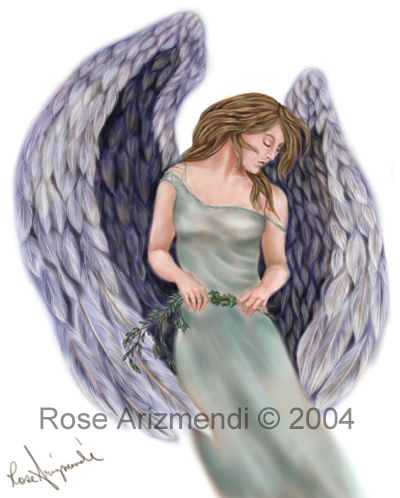 Next I sketched out the angel, spiral, etc. Then started painting with watercolor and fluid acrylics, laying in some color. 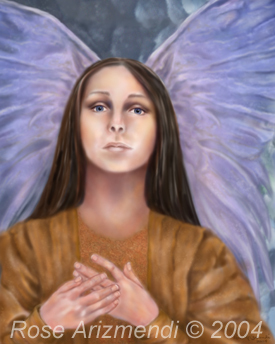 The painting needs a lot more work before I develop the angel and spiral, but I was tired and decided to finish later.